Added on March 24, 2016 by Hardy Emery. 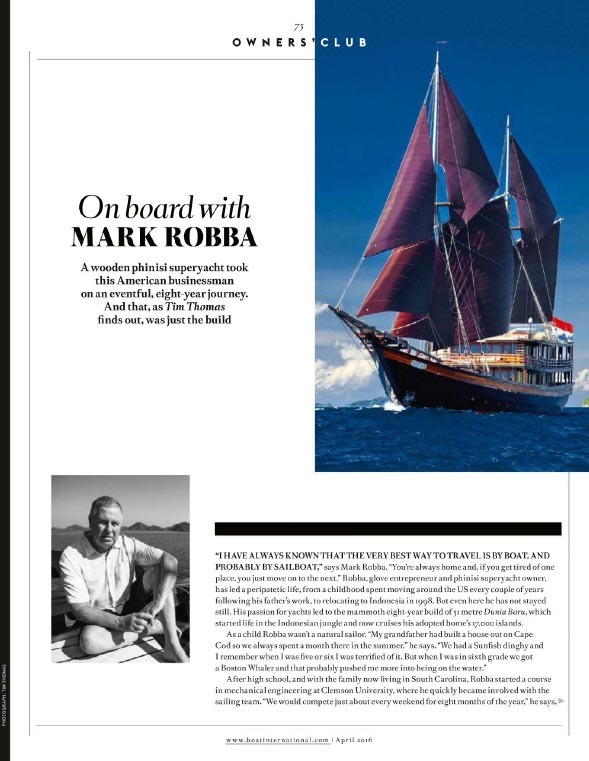 In September, I had the amazing opportunity to sail around the islands of Indonesia with Mark Robba aboard his boat, Dunia Baru. Words cannot truly do justice to this vessel forged over 8 years from ironwood and teak, so I snapped away with my camera as we sailed in hopes of capturing the beauty of the boat, the islands, and the Indonesian people. It is a true honor to have my photos from this trip featured as part of a story on Dunia Baru in the April edition of Boat International.